The standard method for diagnosis of PCP is direct microscopical visualization of Pneumocystis organisms in invasive lower respiratory tract specimens (e.g., bron-choalveolar lavage, or BAL). Upper respiratory specimens usually present insufficient numbers of organisms to enable diagnosis by microscopy, but PCR increases the sensitivity. Even oral washes, which are easily obtained by gargling the mouth with sterile saline, are suitable for PCR diagno-sis. Various PCR assays targeting different genes and the use of nested PCR, in which a second round of PCR reamplifies the primary PCR product, have been investi-gated. 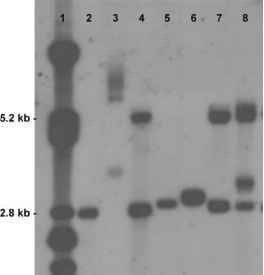 However, some of these PCR techniques employed have been too complicated for routine use in a clinical laboratory. Single-round PCR is to be preferred for diagnostic purposes because nested PCR offers a limited increase in diagnostic sensitivity with an increased ■ p i risk of biological false-positive results (carryover contamination). Choosing a multicopy gene target provides increased sensitivity compared with a single-copy target. Furthermore, employment of touchdown PCR may increase the sensitivity. An internal inhibitor control is recommended to be included in a diagnostic assay. Oligonucleotide sequences and PCR conditions for three different PCR assays are presented in Table 2. Although PCR methods have the potential to be very sensitive, specimens have been reported to be positive by PCR in patients without clinical PCP, who are presumed to be colonized with Pneumocystis. Recent research suggests that organism burden, as assessed by quantitative PCR, is higher in cases of PCP compared with cases of colonization. If these findings are supported by further investigation, quantitative real-time PCR could improve the specificity by distinguishing between infection and colonization.